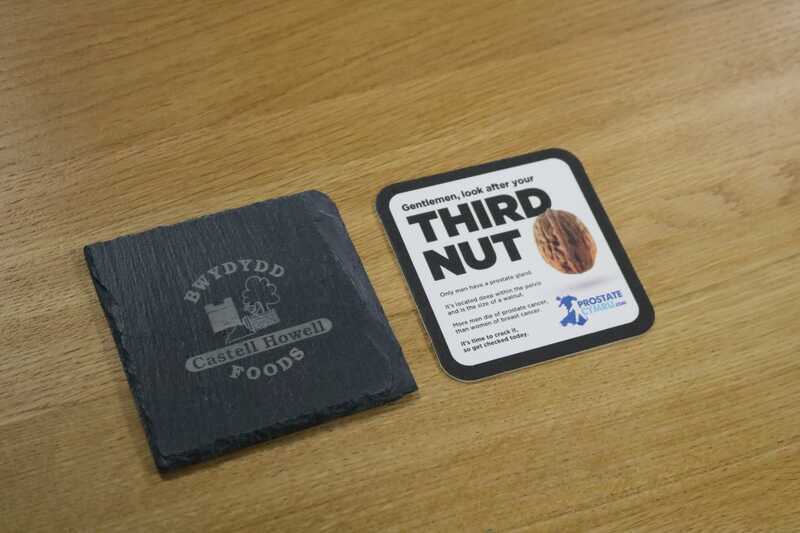 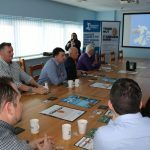 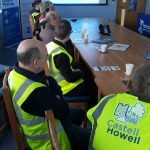 Castell Howell, one of the UK’s leading independent food wholesalers, has partnered with Prostate Cymru, the leading prostate health charity in Wales as part of their commitment to raising awareness of prostate issues. 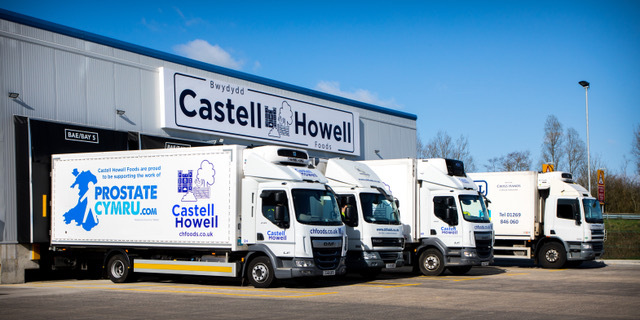 Castell Howell are based in Cross Hands, Carmarthenshire and have depots in Merthyr, Avonmouth, Blaenau and Chirk. 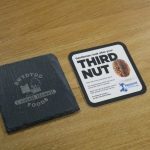 The well-known company has been selling and delivering its produce for over thirty years and its business portfolio has expanded to include Authentic Curries, Caffe Eto Coffee, Celtic Coast Fish Company, Celtic Pride Beef & Pork, Farm Fresh and Mario’s Ice Cream. 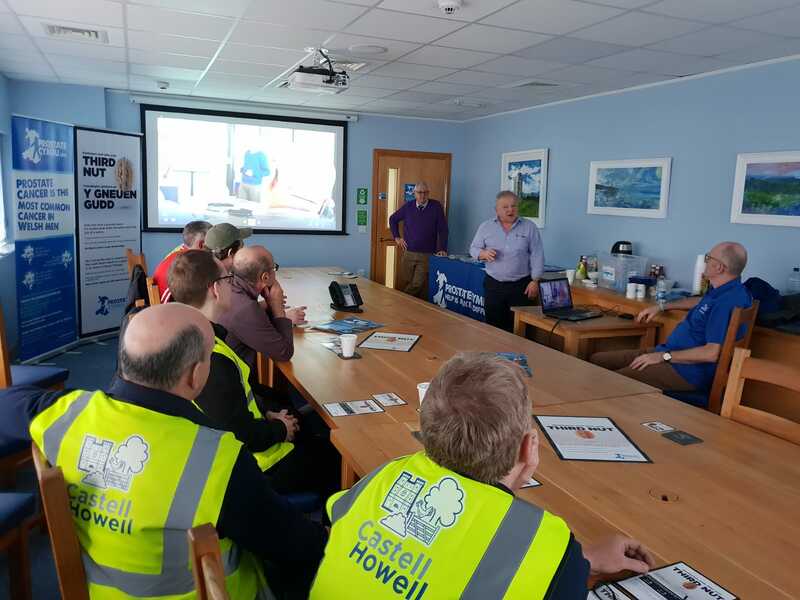 The company recently updated one of their lorries, thanks to Dragon Signs, with the Prostate Cymru logo as a show of support for the charity. 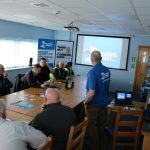 The newest addition to the fleet, which will travel around Wales and has already been in use for deliveries, has been created to raise awareness of prostate issues such as benign prostate disease and prostate cancer. 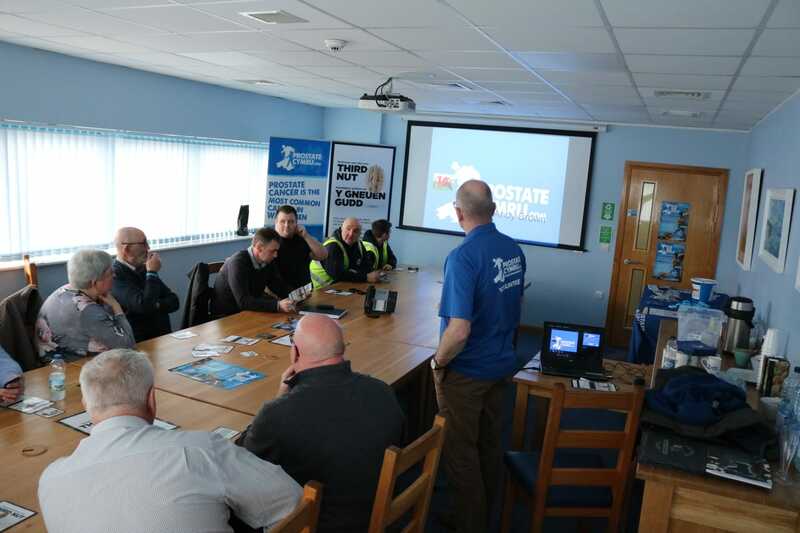 In addition to displaying their support for Prostate Cymru, staff at the company have been getting involved with fundraising activities such as The Big Breakfast and events organised by the Carmarthenshire Friends of Prostate Cymru. 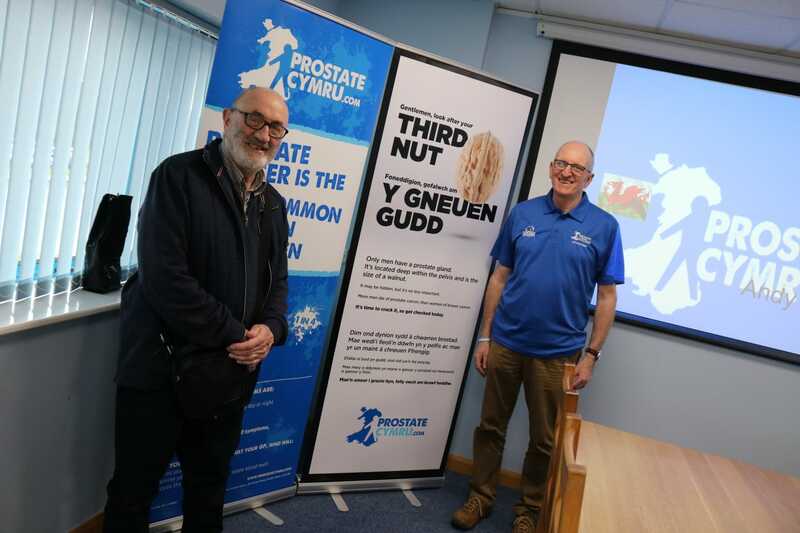 Founder and managing director Brian Jones became a member of the Carmarthenshire Friends of Prostate Cymru in 2018. 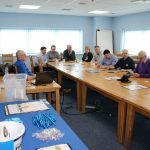 The newly formed group aims to support Prostate Cymru and support awareness and fundraising events in the county. 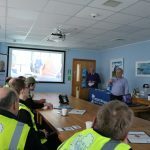 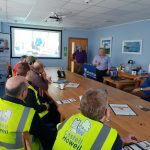 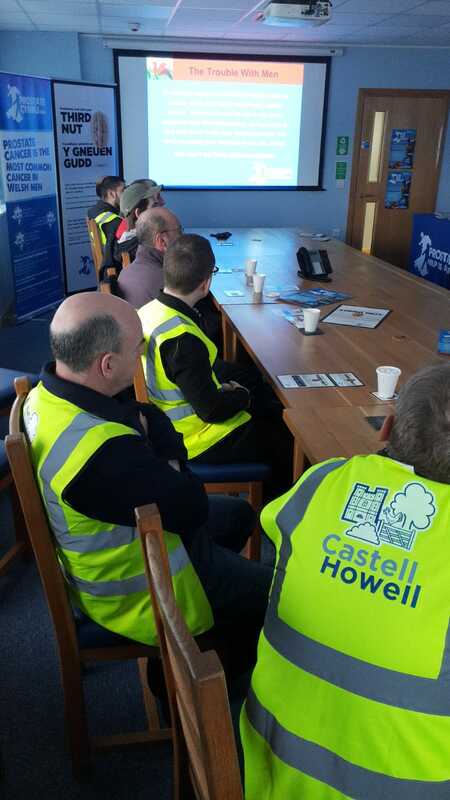 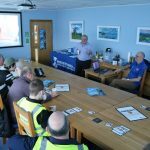 On 28th February this year Brian invited awareness volunteer Andrew Brown and the enthusiastic Carmarthenshire Friends of Prostate Cymru group to provide a day of awareness talks for employees at Castell Howell’s headquarters in Cross Hands, Llanelli. 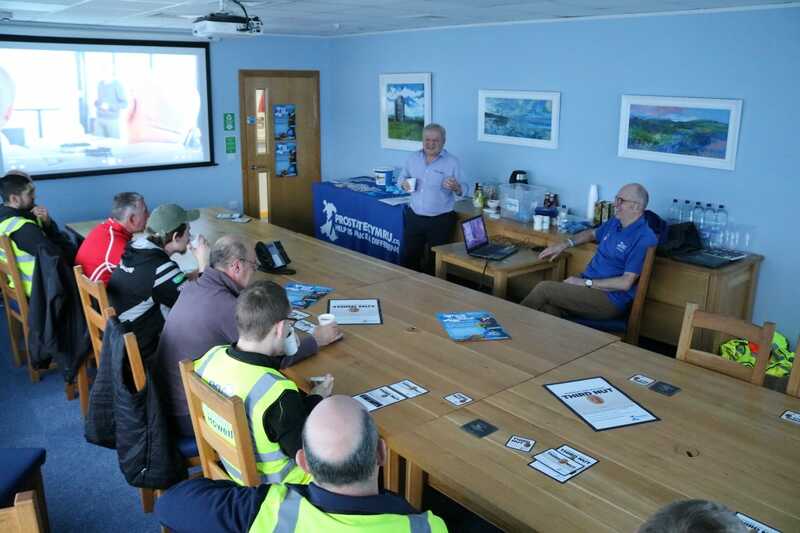 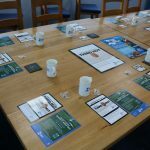 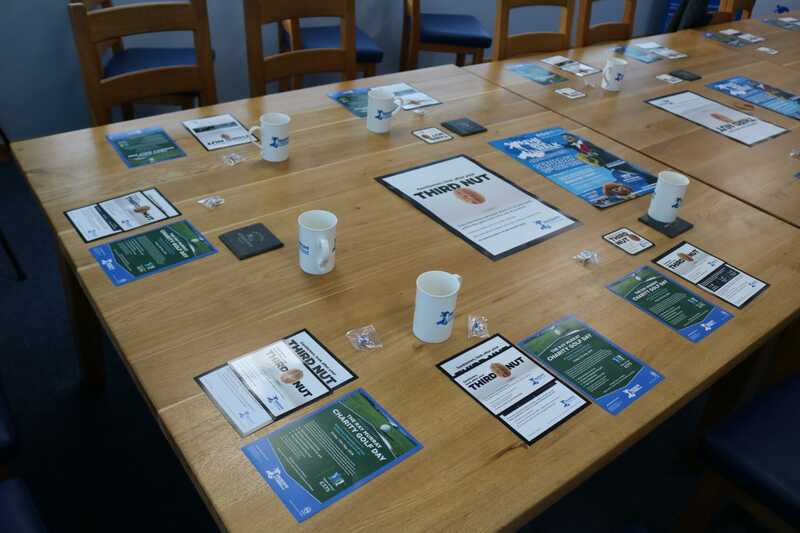 Several members of staff including management attended the four sessions to learn more about men’s health and wellbeing, prostate diseases and tests. 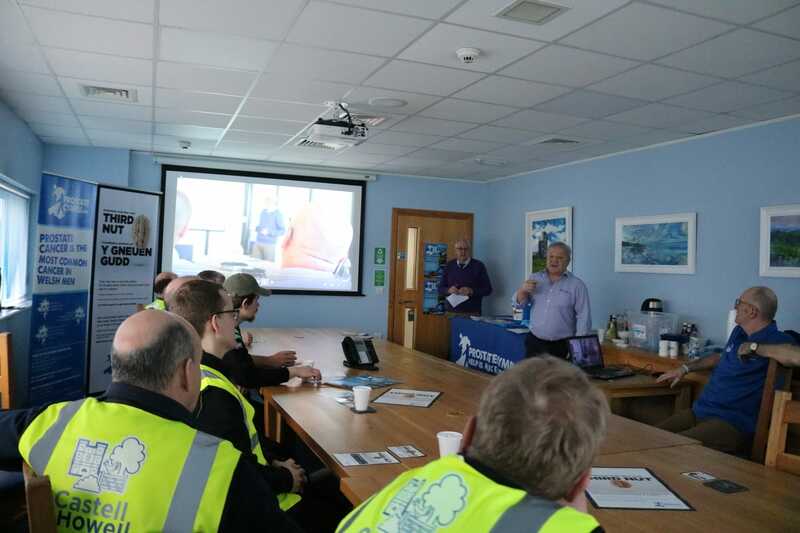 The awareness talks were well received by employees who engaged with the presentation and asked lots of questions to improve their knowledge. 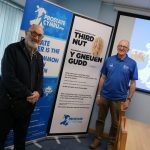 For more information about the Carmarthenshire Friends group and to get involved please contact the group secretary Mike Dingley-Jones via mikedingleyjones@gmail.com. 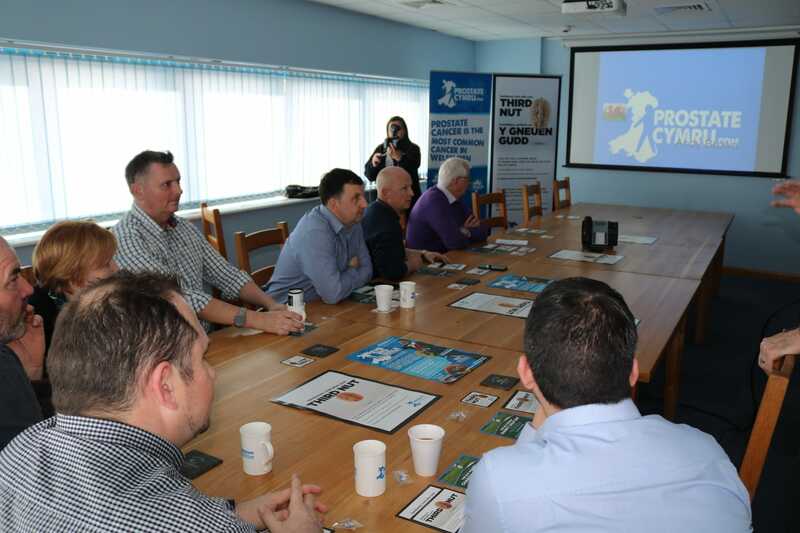 If you would like to organise an awareness talk for your workplace, organisation or club please contact catherine.felton@prostatecymru.com.